-Extension to France by Sri Lanka Tourism in November!! The epic $16.4 million Monkey Kingdom Directed by Mark Linfield and Alastair who also directed Bears and narrated by Tina Fey will debut it's launch today at Excel Cinema and then across the country by EAP Films which is memorable given the Hollywood success that the film has had in the last four months in the United States said Dr. Rohantha Athukorala Chairman Sri Lanka Tourism Promotions Bureau. 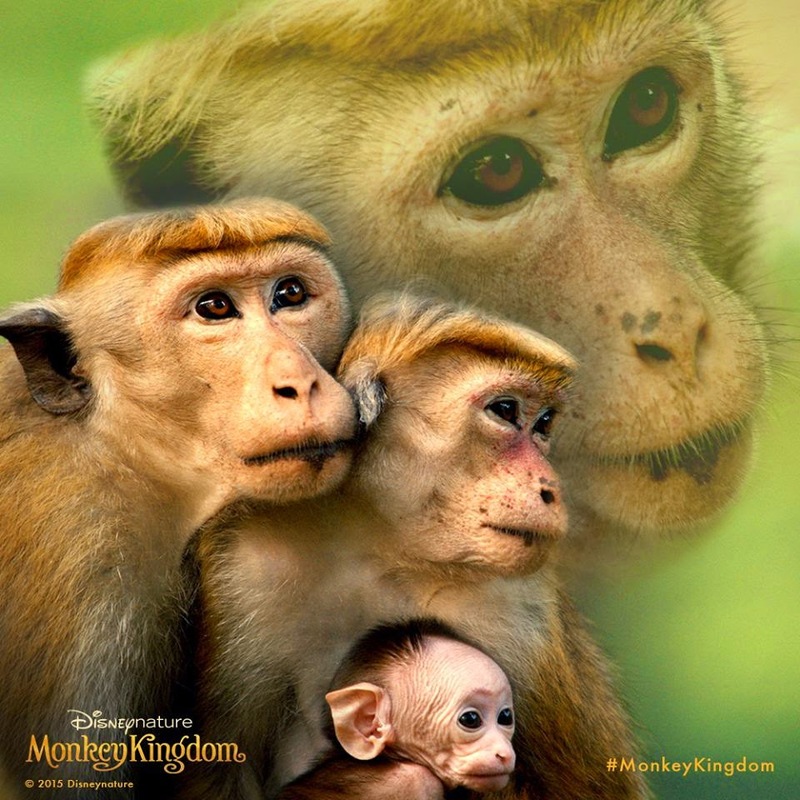 Athukorala cited how one typical American kid had said "My favorite part of this movie is when all the monkeys are playing with each other and swinging from their homemade “original” jungle gym and the lower class runs out of food and have to find a way to survive. They then raid humans’ house and raid their kitchen. They even confiscate all the eggs from the hen house!! It is hysterical to see a monkey running off with a sub sandwich"
A top producer in the US commented my favorite character is Kip, Maya’s son ! He is a cute baby monkey that is so innocent and, most of the time, has no idea what is going one. He depends on his mom for protection. Maya is on the low end of the social hierarchy. She is a female monkey with a nice personality unlike the three sister queens who act as if they own everything. I love how Maya protects her baby at all costs. Sri Lanka Tourism Spring boarding on the US success is planning to stage a special screening of French version of this movie “ Au Royaume des Singes” for travel trade professionals in Paris, France during November said Dr. Athukorala who believes that rather than just awareness of Sri Lanka as a tourist destination we must build equity of the brand among the targeted travelers and industry professionals in the country. 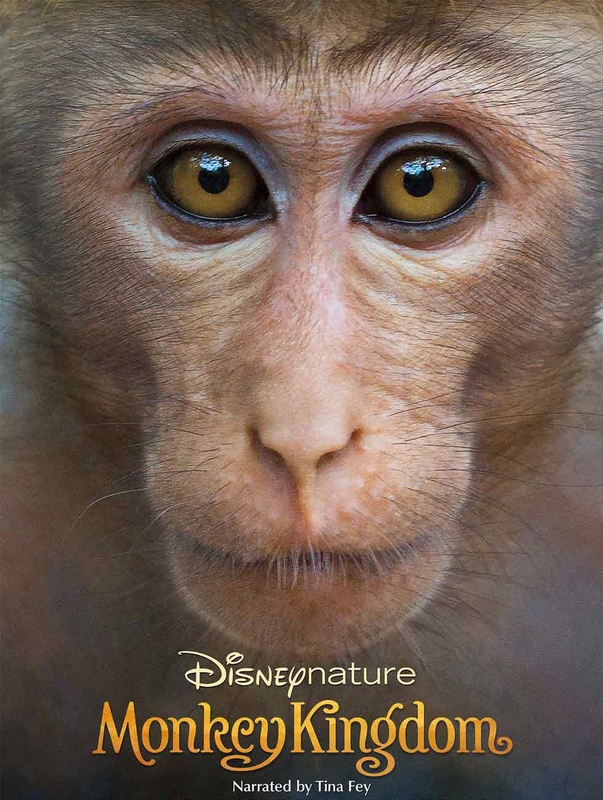 Sri Lanka Tourism will join hands with Sri Lankan Airlines to organize the private screening of “Au Royaume des Singes” at Gaumont Champs Elysees Marignan with the participation of over 6000 travel trade professionals. During the special preview, SL Tourism will conduct educational session for the travel trade on the history and culture of the country and showcase the cultural diversity through traditional dance performances and culinary delights. This initiative will be backed by a comprehensive promotional campaign on web sites, on cinemas, outdoor advertising and community involvement projects to create high level of awareness about the history and culture of Sri Lanka among the target French travelers with the hype created by the film said Miss Sarangi Thilakasena , Market Head for France at the Sri Lanka Tourism Promotions Bureau. This will be hitting French cinemas on 11th November 2015 she said. The film is directed by Mark Linfield and Alastair Fothergill, who were responsible for other Disney blockbusters such as ‘Earth’, which grossed more than $100 million at the box office. Their last movie 2012 movie ‘Chimpanzee’, filmed in West Africa, grossed almost $35 million, a record for a wildlife documentary. “The film has the potential for Sri Lanka to create top of the mind brand recall among families, nature and cultural tourism enthusiasts around the world” said Ms.Thilakasena.